A while back I had plans with my aunt to come over for dinner on a Friday night. She wanted to make a special request for dinner and had asked me to make a chicken chili. Since I had to work that day I figured something in the crock-pot would be ideal. Less time slaving in the kitchen, meant more time for drinking wine and schmoozing. Besides chopping up the veggies this recipe really requires almost no prep. I found a few different recipes and merged them all together to make this one delicious one. You might look at the ingredients and go “Oh boy, that is gonna be spicy!” I promise you it is not. If you deseed and devein the jalapeños you get a real nice mild and tangy flavor. The big chunks of chicken, all those green veggies, white beans, and spices make for one delicious belly warming meal. I highly recommend serving this with some cheese quesadilla wedges or cornbread to round out dinner. It was a total hit in my household. So if you are doing your meal prep for next week be sure to add this recipe to your menu. Note: When I made this recipe, I chopped up the tomatillos, chiles, jalapeños, onion, and garlic and put them all in a one gallon Ziploc bag the night before to save time the next morning. It literally took me about two minutes to throw it all in the crock-pot. Remove the chicken breasts, shred, and put back in the pot. Add in the masa harina, salt, pepper, and the juice of one lime and stir. Continue cooking for another 30 minutes. Serve in a bowl and top with garnishes of your choice. I saw this recipe a couple of months back for a ravioli soup and knew I had to try it. Well I am never one to really “follow” a recipe so I mixed things up and created a tortellini soup. Tortellini are far less doughy so you have these fabulously light cheese filled pillows floating around in a rich creamy tomato soup and then of course some big hearty chunks of sausage in the mix as well. This soup was phenomenal! My four-year-old son gobbled it up and he is usually kind of weird about soups (I think it is a texture thing). This recipe made a massive pot, which allowed us to have a full dinner and then also freeze a bunch for future meals. 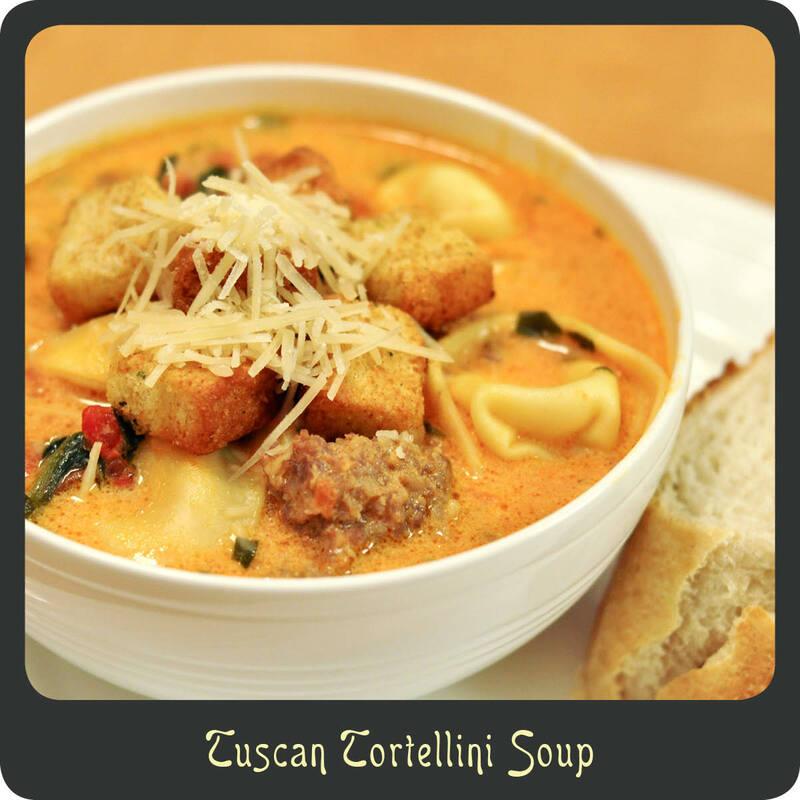 Tuscan tortellini soup is perfect for a chilly winter day and is so quick and easy to prepare. I could go for a big bowl of it right now! Brown the sausage over medium-high heat in a VERY large soup pot. Once the meat is about halfway cooked add the butter, onion, and garlic and cook until the union is soft and transparent. Add the crushed tomatoes, diced tomatoes, chicken stock, and chopped spinach. Bring to a boil and add salt and garlic powder. Boil for 10 minutes making sure to stir frequently. While the soup is boiling cook your tortellini in a separate pot per package instructions and drain. Add the half & half and heavy cream to the pot and simmer for 10 minutes. Stir in the parmesan and cooked tortellini until the cheese is melted. Transfer the soup to a bowl using a ladle. Top with croutons and additional parmesan cheese. It is FINALLY starting to feel like winter in California! We have been having 60–70 degree days in December and January. Not normal! Don’t get me wrong, I love nice weather but one of my favorite things about Cali is that we usually have 4 very distinct seasons. I love being bundled up with a cozy scarf and boots on a cold winter day with a big bowl of soup and it has just not been that kind of winter. Well we just got our first spell of rain in what feels like months! This led me to go into full on soup mode. 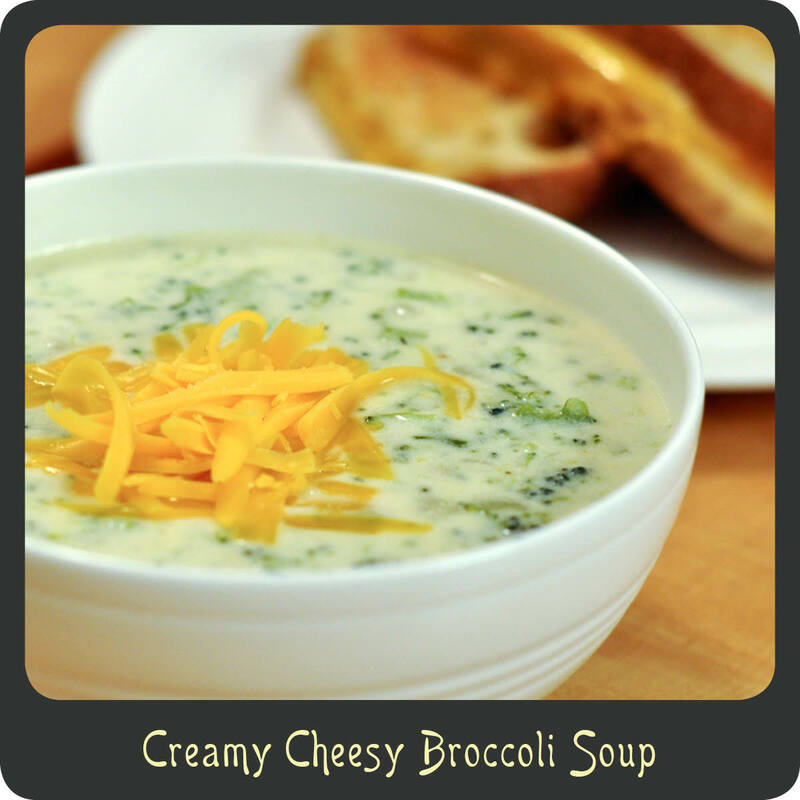 Broccoli cheddar soup has always been one of my all time favorite soups. It is so rich, creamy, and filling. (Exactly what you need after you made your new year’s resolutions right?) Well give yourself a cheat day and serve this up with an old-fashioned grilled cheese sandwich for a real winter treat. A perfect warm up for a cold winter day! Add the garlic, onion, and thyme and cook stirring occasionally until the onion is translucent, about 4–5 minutes. Add in the flour and mix until well combined and it starts to brown, about 1 minute. Gradually whisk in milk, broth, and cream. Stir in the chopped broccoli and bring to a boil. Reduce the heat to a simmer and cook until the broccoli is tender, about 8–10 minutes. Add in the shredded cheeses and stir until smooth and melted, about 2 minutes. Season to taste with the salt and white pepper. Serve and top with additional shredded cheddar if desired. Happy new year! How is 2014 treating you all so far? Hopefully absolutely fabulously! First off I want to apologize for my absence over the past few months. Life has been super busy! I started a new job back in September managing one of the most awesome design studios and it has taken some time to find the right balance in life. My resolution for 2014 is to get back to some regular blogging so I have lots of great things coming for you. I have still been cookin’ up a storm while away so I have plenty of tasty new recipes to share. Now the question is, where to start! 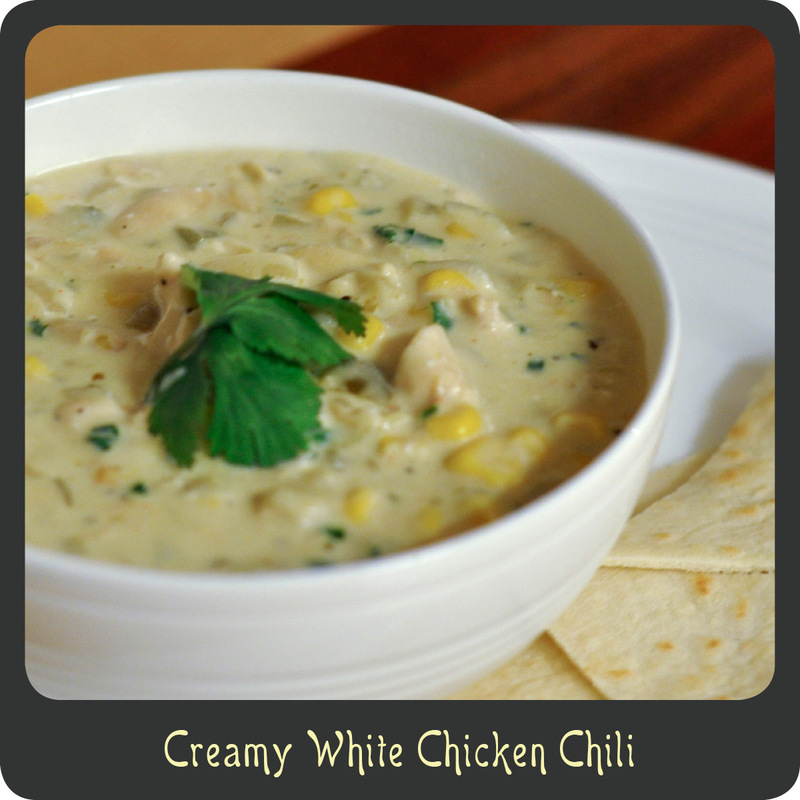 Since it’s winter and we are all still recovering from the holiday madness how about one of my all time favorite soup recipes? 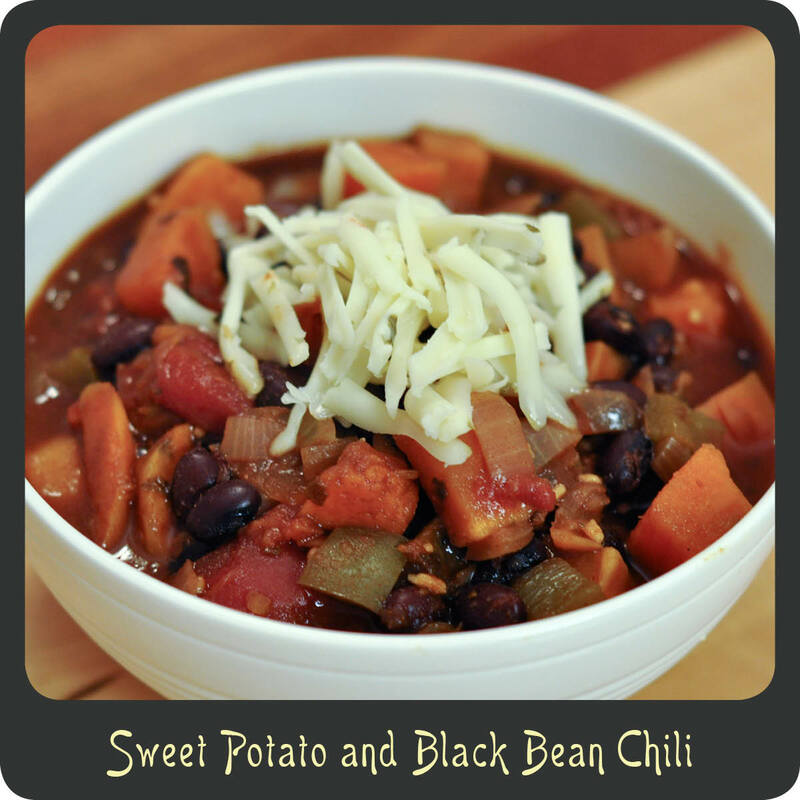 It is a quick and easy crock-pot recipe that will be sure to warm you up. In your crock-pot mix together broth, water, and rice (including seasoning pack). Add in the chicken breasts, carrots, and celery. Cook on low for 6–8 hours or on high for 3–4 hours. Remove the chicken breasts from the crock-pot and break it up into pieces using a fork. Return the chicken to the crock-pot. In a medium saucepan melt your butter over medium heat. Gradually mix in the flour until well combined. Whisk in the half and half and season with the salt and pepper. 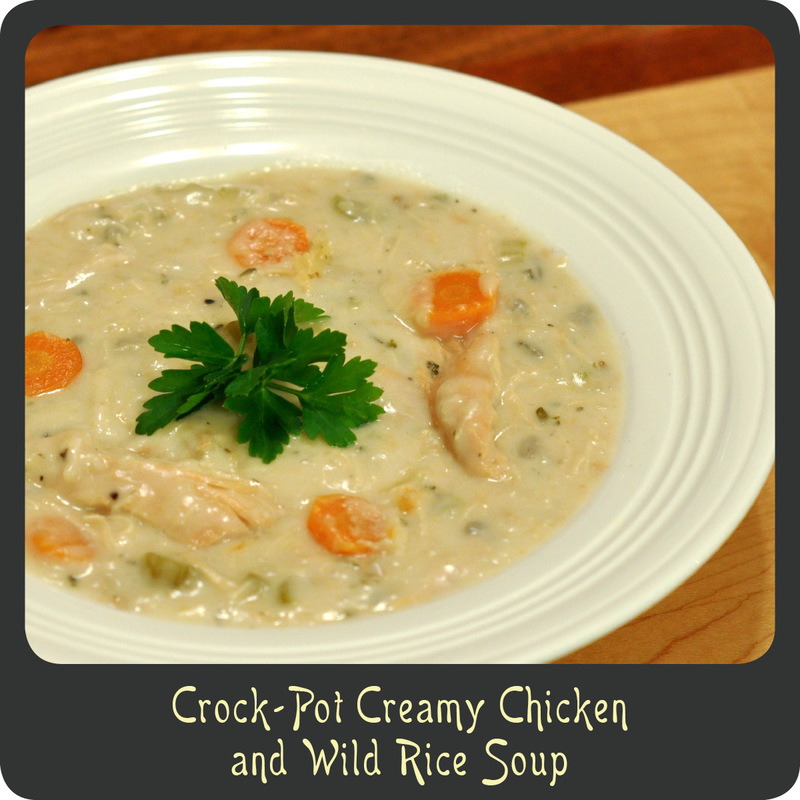 Add the creamy base mixture to the crock-pot and stir until well combined. Allow the soup to cook on low for another 15 minutes. Try the soup and season to taste. If it is too thick you can add a little water to thin it out. This is one of those dishes that you look at and think, “It must have taken forever!” Wrong! This dish was on our table in less than 20 minutes from the time I started, and it was so simple. Those are some of the many reasons I love it! I first tried this recipe because I happened to have some bok choy on hand from my produce delivery and some shrimp in the freezer. It was just meant to be! This recipe is packed with wonderful Asian flavors but none of the ingredients are exotic or hard to find. I’m not typically a huge fan of ginger but in this recipe it is what takes it from ordinary to extraordinary so don’t leave it out. This noodle bowl ended up being really filling. My son is a big fan of pot stickers so I fried up a couple of those while this was coming to a boil. They were a great addition to the meal. Note: For a vegetarian option substitute some tofu for shrimp. In a large soup pot heat the olive oil over medium-high heat. Add the crushed red peppers, garlic, ginger, mushrooms, and bok choy. Add the chicken broth and seafood concentrate. Put the lid on the pot and bring to a boil. 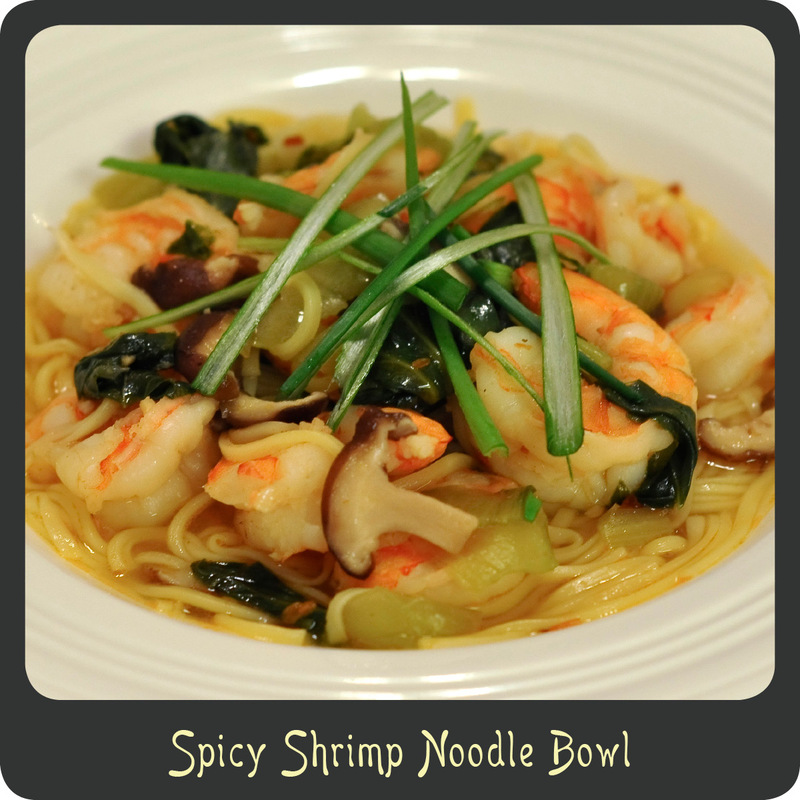 Add the shrimp and the noodles and cook for 3–5 minutes or until the chow mein is tender and shrimp cooked through. Add in most of the green onions reserving some for garnish. Cook for another 2 minutes, turn off stove and allow pot to sit for another 2–3 minutes. Ladle into bowls and garnish with remaining green onions. Recipe adapted from Rachael Ray.